Conscious Cities is the concept of urban environments that are responsive to our needs through data analysis and the application of behavioural science in architecture and planning. A new journal for urban design and mental health? Might beautiful places have a quantifiable impact on our wellbeing? The Journal of Urban Design and Mental Health is published online by the Centre for Urban Design and Mental Health, an international think tank that seeks to answer the question: how can we build better mental health into our cities? The Guest Editor for this first edition is Itai Palti, a practicing architect, educator, researcher, and Fellow of the Centre for Urban Design and Mental Health. A graduate of The Bartlett School of Architecture, Itai has previously worked alongside the late Jan Kaplicky at his practice Future Systems in London. His built and theoretical work has been published internationally, including ‘A Manifesto for Conscious Cities’ in The Guardian, part of research in collaboration with leading figures in the behavioural and brain sciences. He is a co-recipient of the 2015 Hay Award from the Academy of Neuroscience for Architecture for ongoing research. Itai will be speaking at the first Conscious Cities conference, organised by The Museum of Architecture and The Cube, in London on 1st of March, 2016. 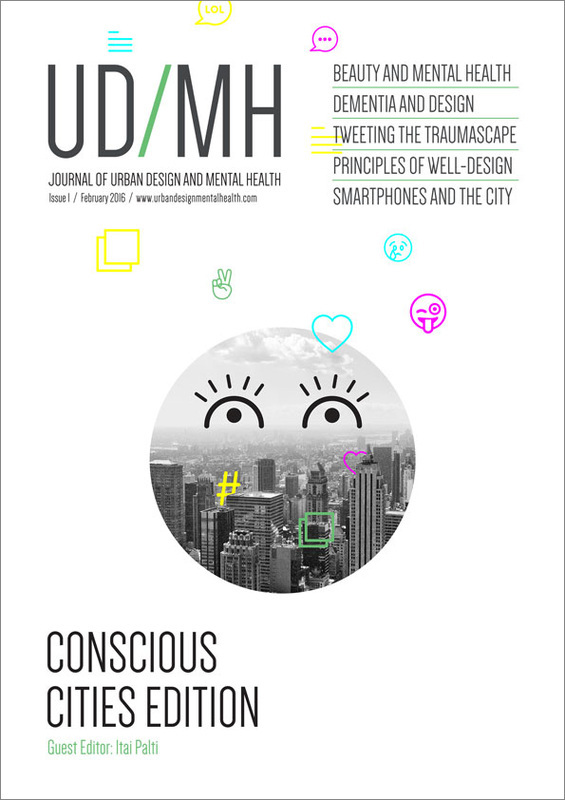 This first edition of the Journal of Urban Design and Mental Health is a pilot to assess interest and opportunity. Pending positive feedback and funding (please contact us if you can help), we hope this will proceed to a biannual publication. If you are interested in becoming an editor, peer reviewer or submitting a research paper, analysis paper or case study for a future edition, or if you have other feedback or ideas for the journal, please email us.